SEO Design Solutions, is a Search Engine Optimization and Internet Marketing Company founded by Jeffrey L. Smith. 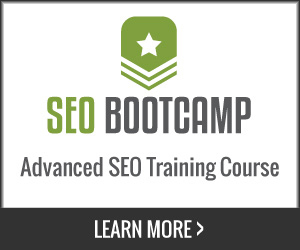 The company headquarters is located in Chicago Illinois but offers nationwide SEO Services. SEO Design Solutions offers world class organic search engine website placement services for Google, Yahoo and MSN. This blog serves as a resource for our clients or anyone interesting in learning more about the inner workings of SEO as well as a way for others in the industry to seek alternative optimization tactics and techniques (since there’s nothing like a good challenge). In addition to affordable search engine optimization. We offer SEO consulting services for clients in Chicago and throughout the USA offering targeted keyword research, link building, website directory submission services, SEO copywriting, search engine optimization and custom website design services. SEO Design Solutions Chicago SEO Firm, employs ethical best practices and utilizes the latest keyword research and strategic analysis to provide clients with effective organic search engine placement. Through highlighting each clients distinct competitive advantage, SEO Design Solutions is able to produce consistent high-ranking search engine placement for multiple terms, drive qualified traffic, improve online visibility to produce website authority.